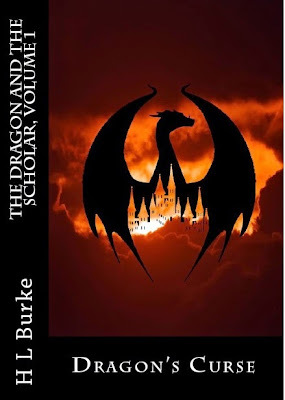 When Heidi told me that her latest book, Dragon's Curse, was out, I was very excited to get a chance to read it and write a review on it. And, I was not dissapointed. I had so much fun reading it that I finished it in one day! The pace is set in the very first chapter. The story moves quickly with plenty of witty dialogue, interesting characters, an intriguing plot and more! We are introduced to a cunning dragon that not only talks, but is also merciful. I always assumed that dragons were ruthless creatures and couldn't be reasoned with. Although, now that I think of it, I have come across a couple of dragons in other novels that were of the contrary. The damsel, Shannon, is mentally strong. She's quick to rush into things and hates being overlooked. I really enjoyed her character and could identify with some of her feelings. You never quite know who the bad guys are in the story. Sometimes you guess correctly, but sometimes you get a surprise. Even the plot, as it unfolds, keeps you guessing as to the outcome and it doesn't dissapoint. This book was not written for kids, but since it has been written by an author with good morals, this book could easily be read by my teenage daughters. There's also no bad language. For these reasons, I recommend this novel for ages 12 and up to adults. Dragon's Curse is the first book in the series, so I can't wait for more! In fact, the second one, Dragon's Debt, will soon be available for purchase on Amazon on May 9th! Disclaimer: I was given a free digital copy for my honest review. All opinions are my own. 2 Markets, 1 Museum and More! Amanda Hunts Easter Eggs and More! Badminton and a Blog Hop! 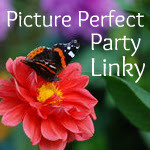 More Great Photos and Linky! Kitten Meets Dog and More!